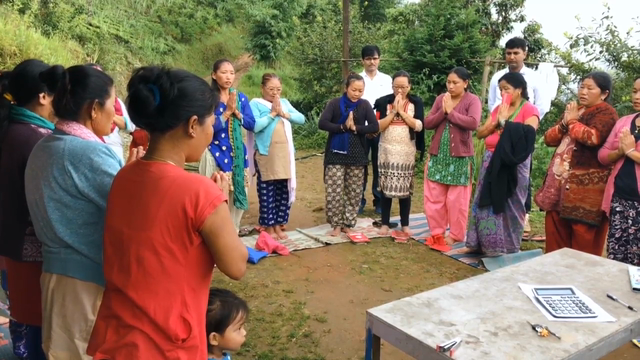 Watch this video featuring Papyrus-Recycled Paper Greetings Account Executive David Sugerik as he meets microcredit clients in Nepal on a donor impact visit. In the spirit of #FundHerFuture, the generosity of David and the Papyrus-Recycled Paper Greetings generosity has created 43,000 opportunities for women entrepreneurs and their family members to live a better life through entrepreneurship. Each year Papyrus-Recycled Paper Greetings donates $100,000, sponsors events, provides in-kind product, joins the foundation in the field and participates in Whole Planet Foundation's top supplier giving level. Whole Planet Foundation’s global impact has reached microentrepreneurs in the United States and 74 other countries thanks to supplier donors - like Papyrus-Recycled Paper Greetings - who have contributed more than $12 million for poverty alleviation. During March, the generosity of Papyrus-Recycled Paper Greetings is being spotlighted in Whole Planet Foundation’s Annual Prosperity Campaign, taking place in Whole Foods Market stores and online. Please join Papyrus-Recycled Greetings in alleviating poverty and make your donation today to #FundHerFuture.